I love looking at the reflections in still water. They have a special quality, almost but not quite like a mirror. The reflections of birds can be quite beautiful. 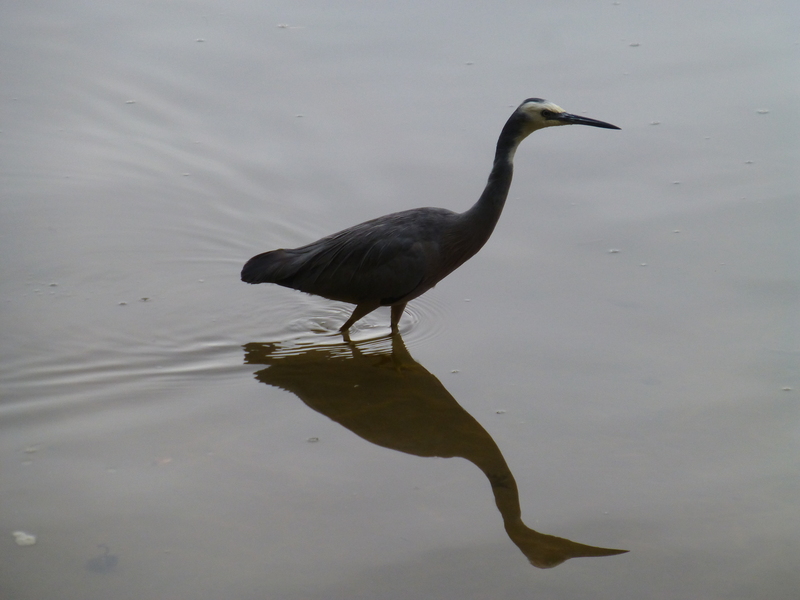 This is a recent photograph of a White-faced Heron as it strutted in the local swimming baths. Regular readers of this blog will know that it is on the river.